Small Dogs – Why do they need different food? Small dogs and toy breeds have very different nutritional requirements when compared to their larger cousins and it important to understand these difference when choosing the best food for your dinky four legged friends. Below is short guide on the key differences between little and large as well as an informed list of what to look for when choosing a small breed complete food. Due to their size they have several differences where every day nutritional needs are considered. Small and toy breeds have much higher energy requirements per kilogram of body weight when compared to our large and giant breeds. This occurs because a dog’s metabolic rate is related to total body surface area. Since the small and toy breeds have a higher ratio of surface area to body weight than large breeds, they require more energy per unit of weight. This means that a high calorie content food is required, preferably in a slow releasing form to help support their metabolism. 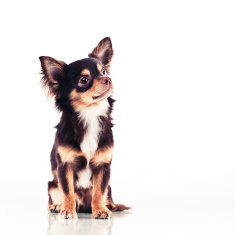 Small dogs also have smaller stomachs, so there is less room to hold large meals. Since they need to consume so much in the way of nutritional quality to support their tiny systems, a specially designed diet with small kibbles enable them to gain all required but in small quantities. They also are just all round smaller from nose to tail, so choosing a diet that has small kibbles makes it much easier for their mouths to crunch and eat. So what should we look for in a small breed food? Diets formulated for small breeds should have higher energy content and a more nutrient-dense nutritional matrix than diets designed for larger breeds. High digestibility is also an important factor, so that optimal nutrition can be provided in small meals. Kibble size and shape should also be designed specifically for small mouths to aid in chewing and consumption. High quality and highly digestible protein contents to support their growth, repair and care as well as energy requirements. High quality fat content for metabolic support. High levels of omega 3 and Omega 6 fatty acids. More calories due to their higher rate metabolism. Good sources of digestible carbohydrates for a healthy digestive system and slow releasing energy. Ingredients that provide omega 3 and omega 6 fatty acids. These are essential for energy and support throughout the body including skin and coat care. High digestibility. They have little tummies, so the better the food is to digest, the more nutritional support they will gain. Small bite size pieces that provide high quality nutrition in smaller morsels that are easy for the dog to eat. And of course, we do not want to see any artificial ingredients, colourings nor additives. At Pets Corner we understand the needs of all dogs big or small and stock a wide selection of some great food choices for those with shorter legs and dinkier tails. We are confident you will find on our shelves something to suite your pooch and your pockets. Our favourites include MORE, Canagan and GreenAcres. MORE Small Breed has been specially designed with small dogs in mind. 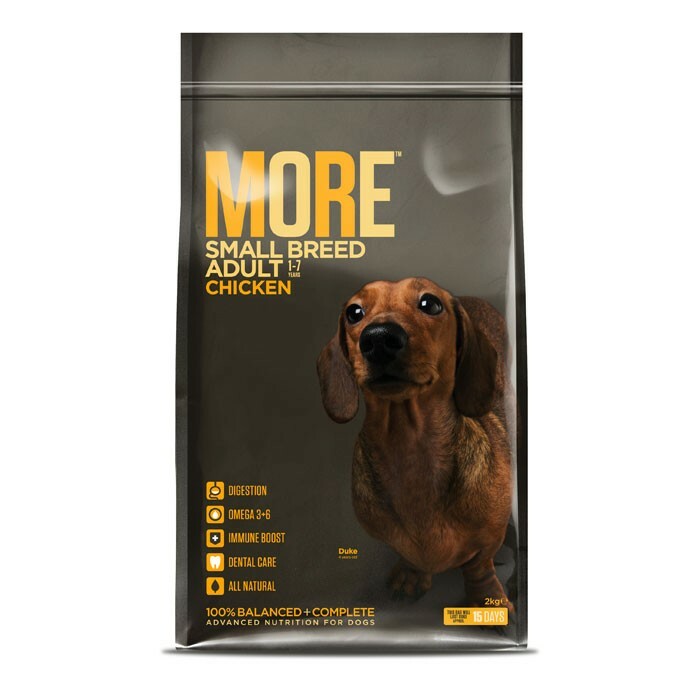 MORE is highly digestible, with a high quality meat source providing little pets with digestible protein sources as well as energy. It contains added oils and fats for slow releasing energy and high omegas for a healthy coat and fabulous metabolism support. It’s also great for those little dogs who are on the fussy side of feeding, with the high quality fats and the high fresh meat content even the choosiest will be tempted to chow down. It contains 48% meat in total so you can be sure your pet will get all the protein and energy support he needs. And… MORE is 100% all natural! So no nasties can be found hidden within the ingredients, nothing but the finest ingredients for MORE feeder. We recommend: More Small Breed Adult Dog. 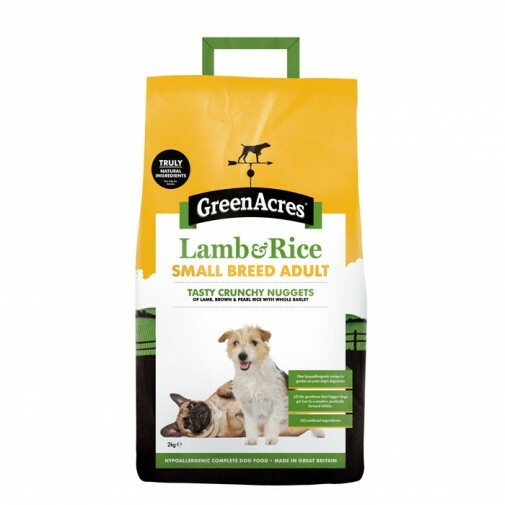 Greenacres is another of our recommended foods. We love this one because although a meat and rice diet it is, alongside MORE, it is one the most natural complete dry foods you can find. With absolutely no artificial ingredients used you can be assured that there are definitely no nasties. A high quality meat source is used and is again wonderful digestible and gentle on little tummies. It is a lamb based diet so supports their skin and coats too. We recommend: GreenAcres Small Breed Lamb. Piccolo is a range specifically designed for only small dogs. High quality and highly digestible protein ingredients with up to 75% meat, provides support for growth, repair and care as well as energy requirements for smaller dogs. Piccolo uses only high quality fat for metabolic support, perfect for little dogs with busy lives and a high calorie ratio to help with their metabolic rate. 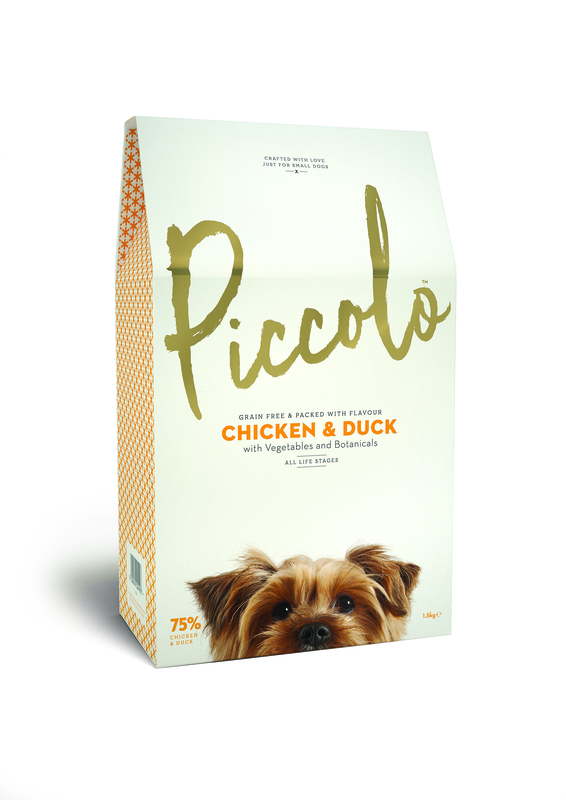 But it’s not just the nutritional aspects that makes this range perfect for little pooches, it’s also the understanding of small dogs that the creators of Piccolo have. They have made sure that by including the high meat content and outstanding ingredients it is the most palatable food going. This means that even the fussiest little dog will find the range irresistible and easy to eat due to the small, perfectly formed kibbles. A food that is loved by little ones! We recommend: Piccolo Small Breed Dog Food. 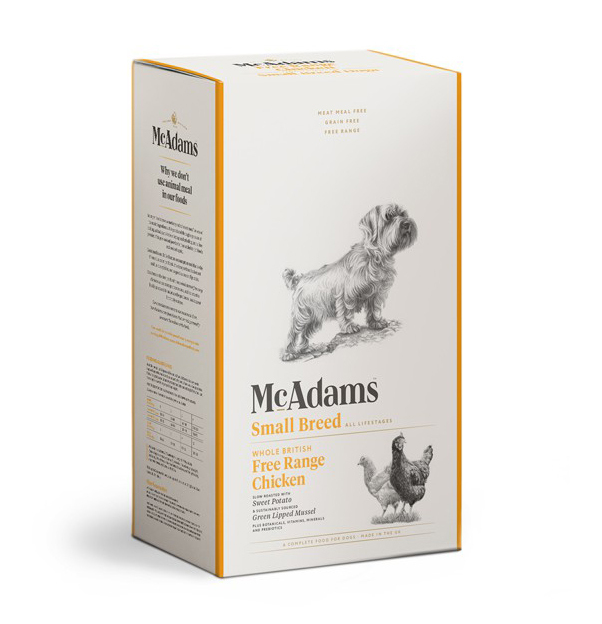 Suitable for all lifestages, McAdams small breed dog foods have been specially formulated to provide a high quality, complete and balanced diet. It is baked then air dried. Rather than being extruded using steam, it is slow roasted and then dried in warm air ovens. This method of baking means that they moisture content is slowly reduced retaining as much nutrients as possible and keeping the strong meaty taste. The result is truly unique tasting kibble with a roasted chicken aroma that dogs adore with great palatability. The range is suitable for puppies and adults alike, is a totally unique offering for pet owners. Containing free range whole chicken at 50%, it provides the high digestible protein levels needed for smaller pooches. Coming in two flavours – chicken or chicken and salmon this is certainly a food pets will love. With green lipped muscles included in the ingredients as well as sweet potato – small dogs are sure to get the joint care support and slow releasing energy they need. We recommend: McAdams Dog Foods. And finally we have Canagan. 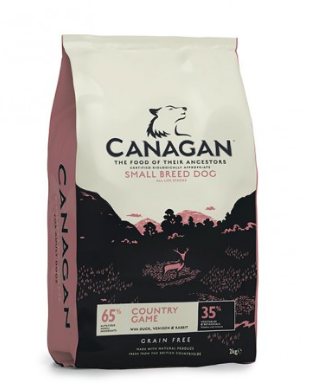 Canagan is a completely different way of feeding as it is based on a biologically appropriate principle and completely grain free, perfect for those with wheat allergies. It has a meat content of 60% in either Game or Chicken options. It is also jammed packed with vegetables and botanicals, one of which is sweet potato known for its low glycaemic index and slow releasing energy – perfect for diddy dogs with high energy requirements. We recommend: Canagan Small Breed Chicken, Canagan Small Breed Game. If you would like to know more about feeding your small four legged friend, ask any one of our staff members in store. All of our staff are nutritionally trained and will be able to help you find the best food for your pet. Also check out our website page ‘Truth about Dog and Cat Food’ for even more advice on choosing pet foods.